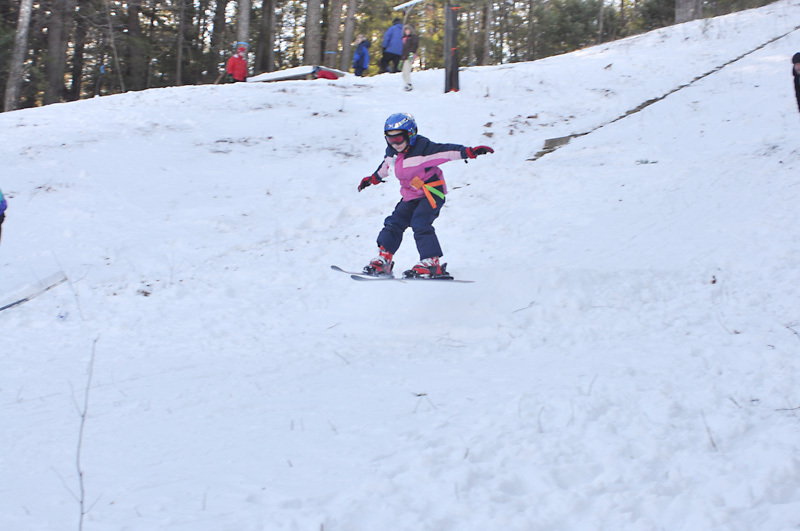 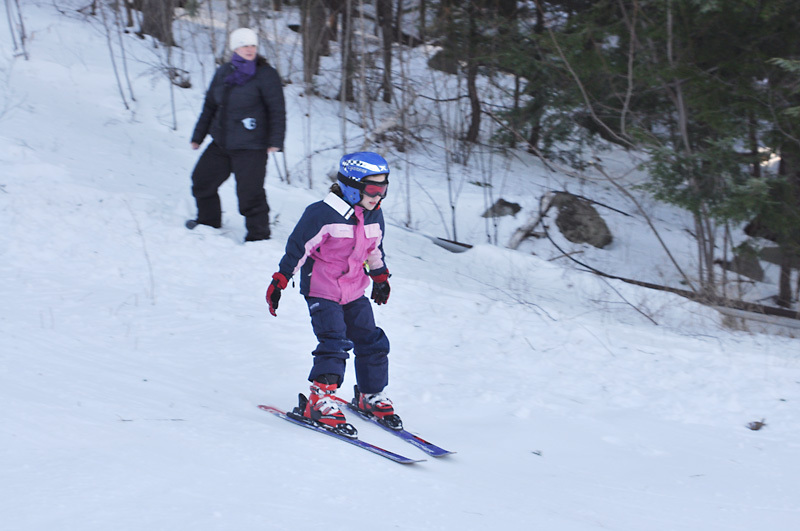 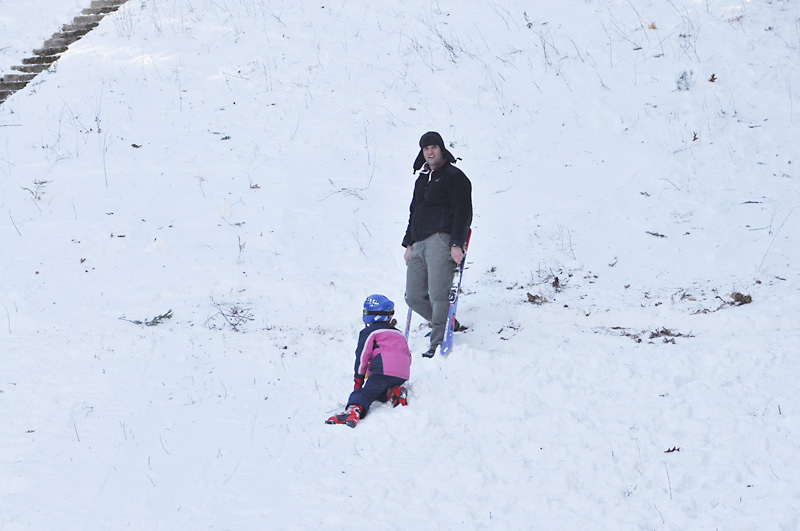 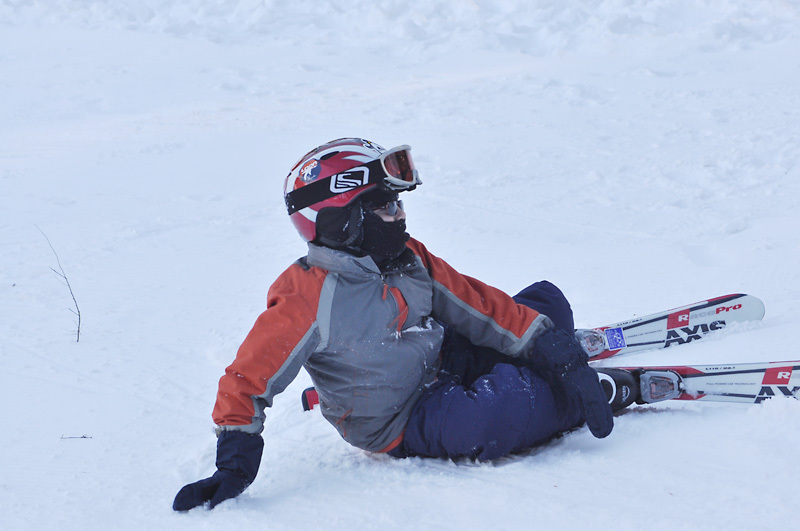 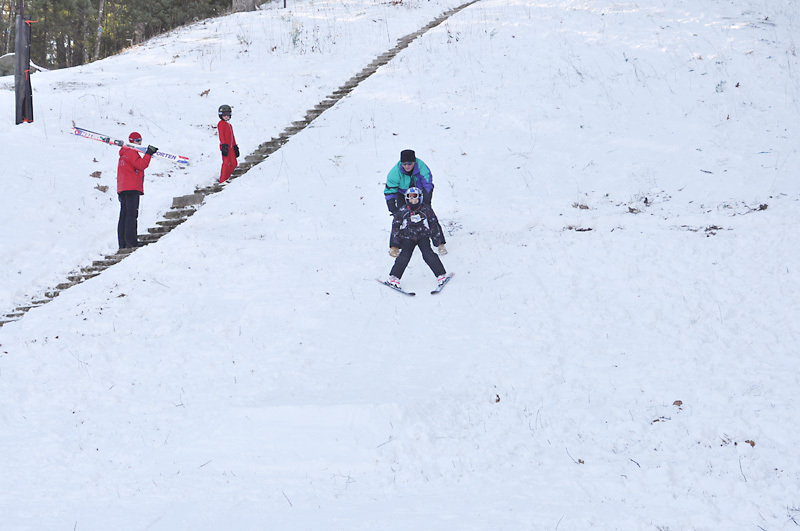 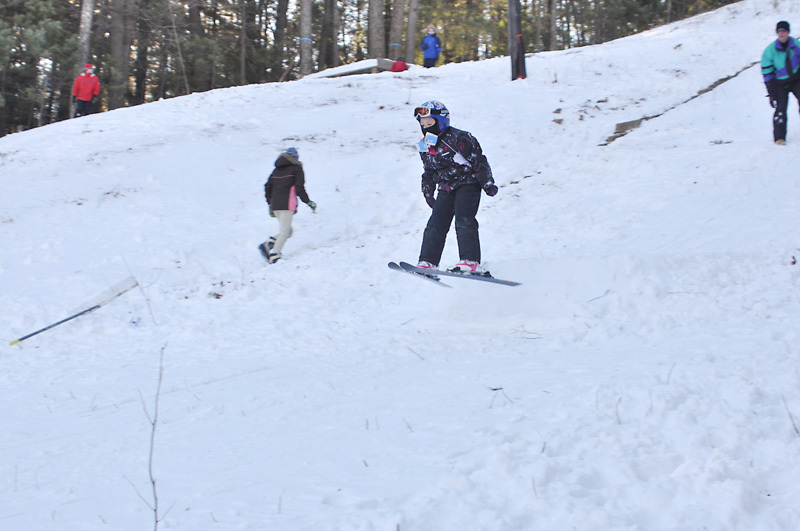 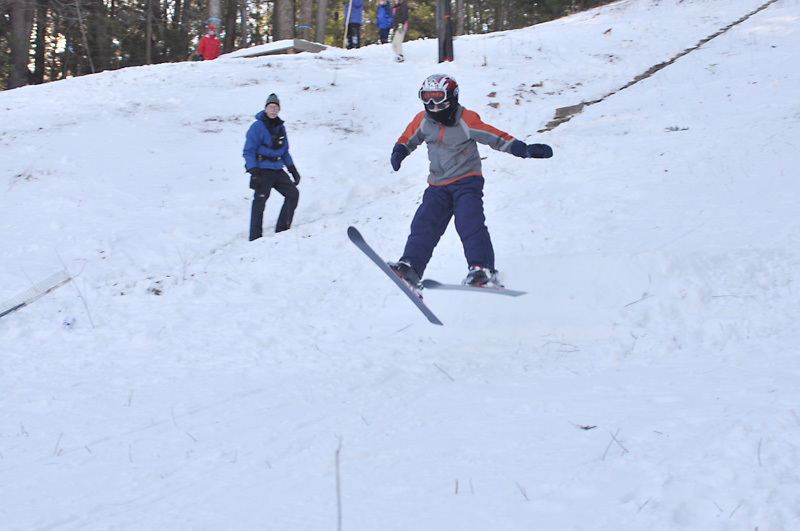 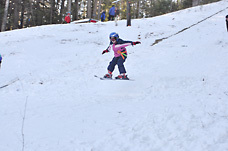 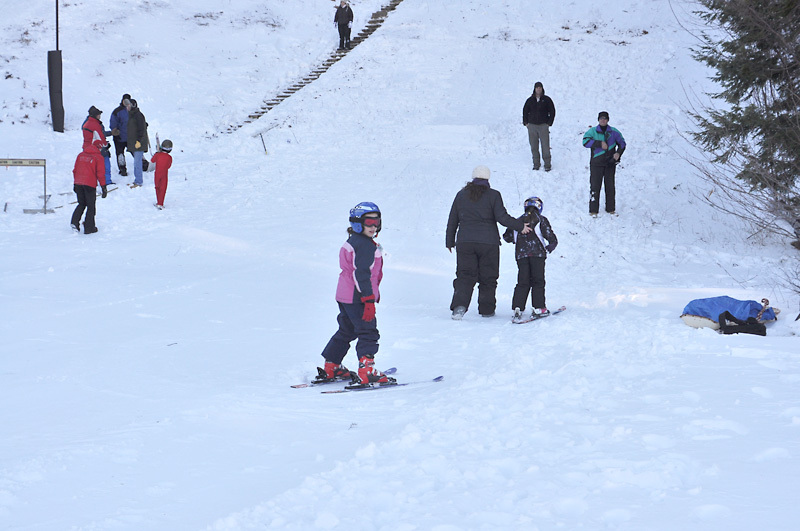 Jumping was offered on the Gunstock 10-meter hill and on a smaller wedge jump, a snow bump built at the bottom of the 20-meter landing, and participants chose one or the other. 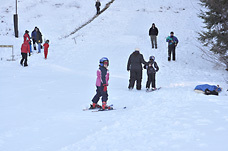 Photos show a beautiful day and many smiling faces. 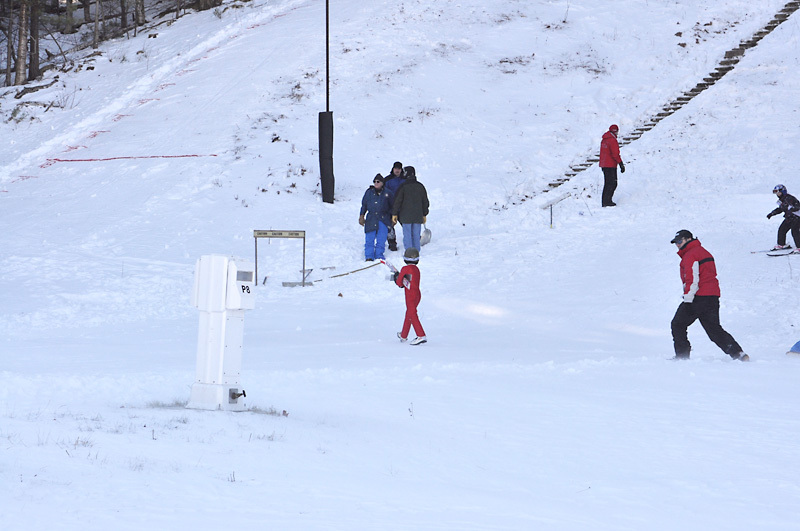 Skiers had a trial jump and two competitive jumps, scored by a single style judge whose score was added to the jumper's distance in meters. Complete jumping results are available on skijumpeast.com. 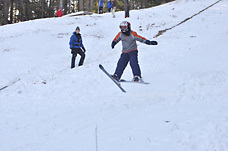 Special thanks to Jonathan Kling for providing these photos.